Fig. 176 A fungal mite, Tyrophagus sp.- family Acaridae (xlOO). propodosoma and hysterosoma not separated by a sejugal furrow. Notorious skin parasites of birds and mammals. 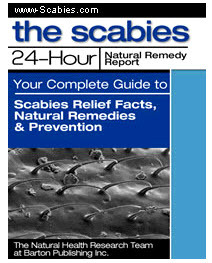 EXAMPLE: Sarcoptes scabiei (itch mite), the cause of scabies in man and sarcoptic mange in various domestic and farm animals.